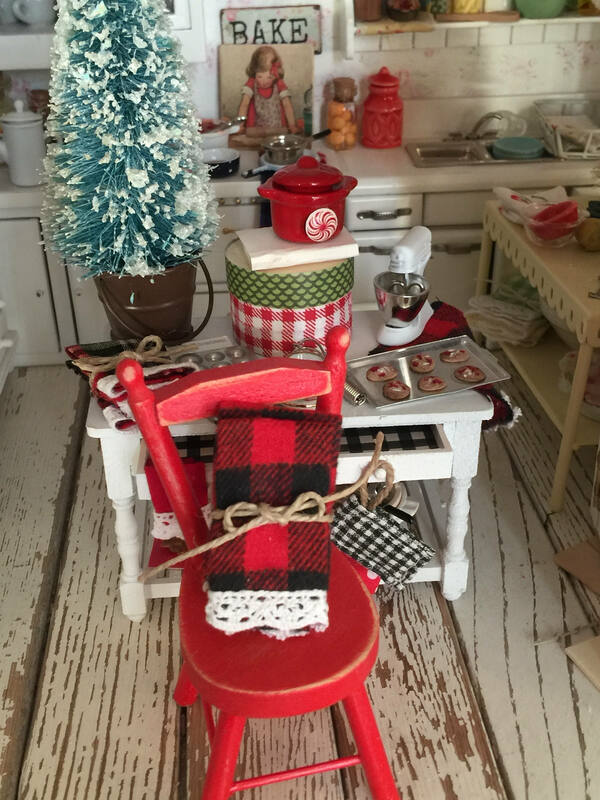 Dishes may not be as difficult if you have cute little kitchen towels to dry them with! 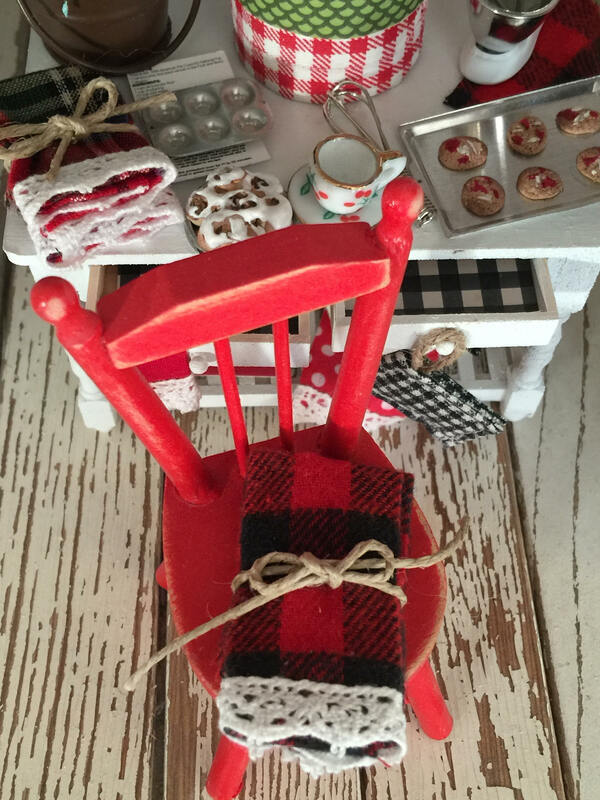 These miniature dishes are adorable in red and black buffalo plaid. The two towels have the bottom edged in white cotton lace that is 1/4" wide. Then they are folded in thirds, placed back to back so raw edges don't show and they are tied with a twine ribbon bow. Unfolded they are about 2 1/2" x 2 7/8". Folded they are approximately 1" wide and 1 1/2" long. When sewing miniatures I avoid hemming every edge. The bulk of even the little seam adds up and causes a miniature to look distorted and not to scale. So only the bottom portion of these towels are hemmed and lace added to them. Then they are folded in such a way that the raw edge of the fabric doesn't show when displaying them. 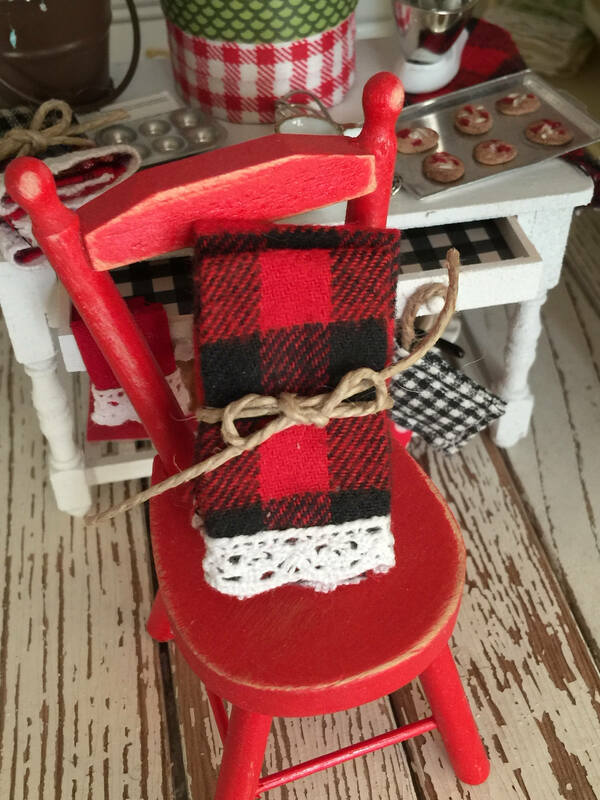 I just love these Debbie Booth towels! Thank you! 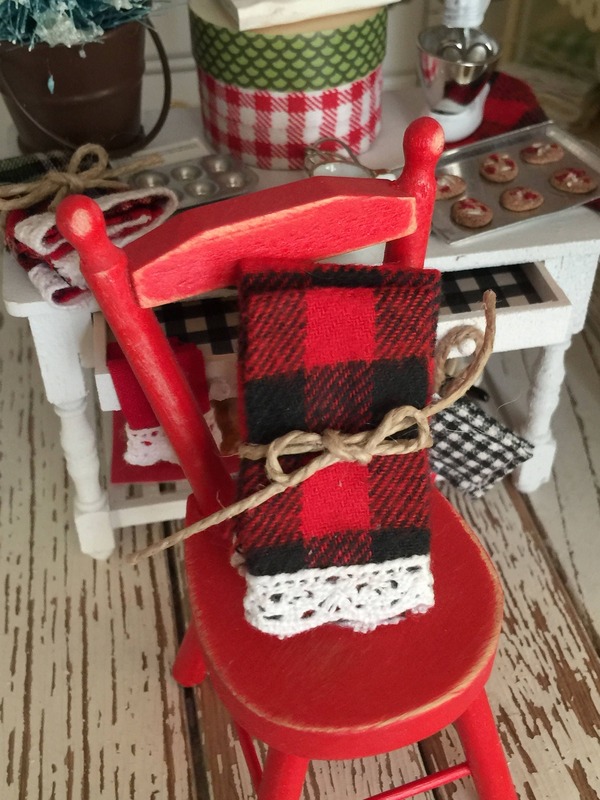 Love these mini kitchen towels for a Christmasy scene!